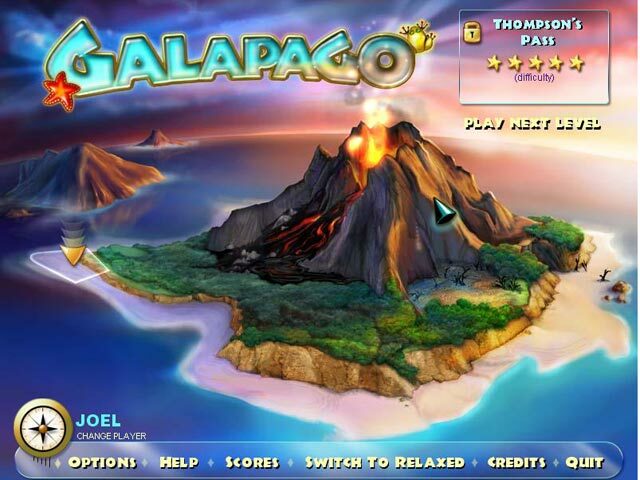 Galapago is rated 3.8 out of 5 by 13. 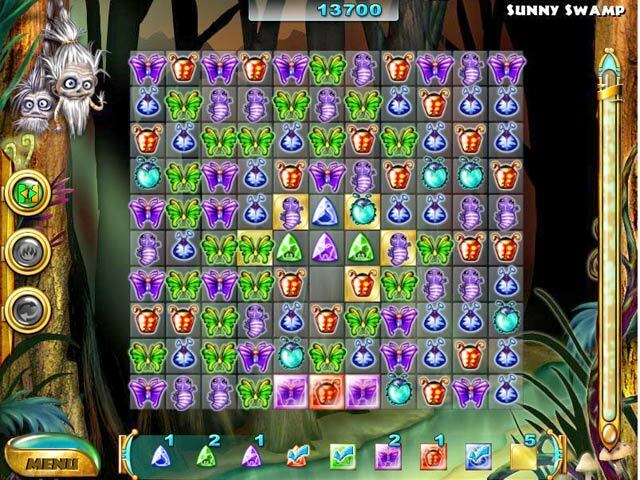 Rated 5 out of 5 by donrus from Cute Creatures This is a game with a couple of nice features. There are some extra bonus buttons that you can earn by multiple matches. 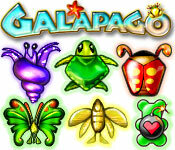 But for me, the special thing about this game is how cute the creatures are. I LOVE seeing them swim to another square and especially when they swim off the screen at the end. It is not a difficult game but visually very pleasing. Rated 5 out of 5 by Stefania72 from beautiful! my favourite game! for relaxing! Rated 5 out of 5 by trixie7533 from My favourite game in 2006 This was the first game I bought from BFG. Would love to see a more modern version. I love match3 and I love critters so this was gonna be a good one for me anyway. Bear in mind that this game is now 5 years old and things have progressed very quickly since then. Rated 4 out of 5 by fredandethel from Dated but different A mix of match 3 above fixed or gold tiles, and match 3 next to jewels. A bit hard on the eyes, but played untimed you can choose various strategies with the quite unusual power ups - take out one critter, swap any two critters, shuffle if you get really stuck, and one which appears on the board and when matched takes out all of that kind of creature. Plus match 3 silver blues to take out a horizontal or vertical line. Rated 4 out of 5 by myyorkies1994 from A Cute Match 3! This M3 is so bright and colorful! While the levels of difficultly are not so difficult, it does take some strategy to succeed. There are a lot of different icons on the board so trying to get those lined up that you need, can be a challenge! Also, the icons don't cascade down in a straight line, so it's unpredictable. The talking heads on the side also add fun to this really cute game. It's a great M3 for just having fun! 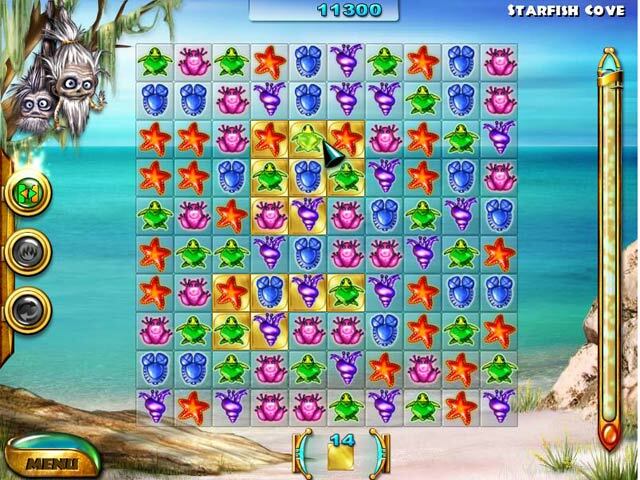 Rated 4 out of 5 by melinda30 from fun match 3 game I played this game and finished it under timed mode a long time ago. I loved it, I was hooked and would wake up and start playing lol. I enjoyed it, it is a very old game as someone stated. I would also LOVE an updated version of this game. May not be for everybody, but as I said I enjoyed it. Rated 3 out of 5 by tunesjerom from nothing for me Too colorful to pass each other. It makes me nervous when playing. Too bad, but not for me.